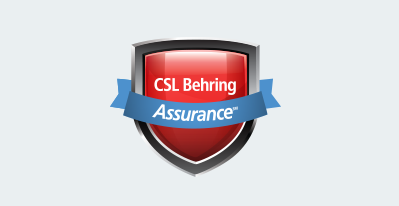 CSL Behring Assurance is a program that can help eligible patients continue to receive treatment even if you experience a lapse in third-party private health insurance. Certain limitations apply—see program Terms and Conditions for additional information. For more information, talk to your doctor or call IgIQ at 1-877-355-IGIQ (4447) Mon–Fri, 8 AM–8 PM ET.